Get the best from both worlds! These are our recommended tours that we have prepared for vacationers that want to have a more complete travel experience. 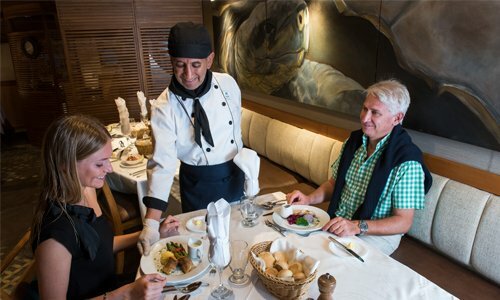 Our all-inclusive Go Packages are a favorite amongst our clients due that they mix an unforgettable luxury cruise in the Galapagos Islands with amazing inland landscapes and cultural experiences in continental Ecuador and Peru. Galapagos cruise – all inclusive – full board. 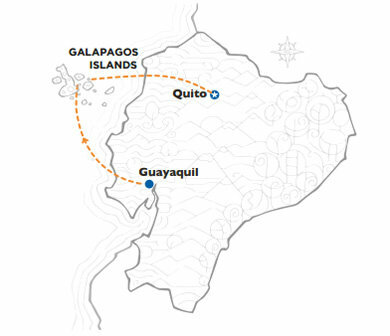 Hotel & visit Quito or Guayaquil. Once in Quito or Guayaquil be taken to a city tour to learn about the historic importance of these cities and their most popular sites of visit. Later in the week, hop in a plane to be taken to the paradisiacal archipelago that inspired Darwin with its stunning landscapes and exotic wildlife: The Galapagos Islands. Arrival any day – transfer to the hotel. Overnight. Colonial City Tour & Middle of the World: bustling streets and squares of the largest historical old town in the Americas, a multi-ethnic, artistic and cultural heritage destination. Visit the “Middle of the world” situated at 0º0’0” latitude. Overnight. Visit Ecuador´s largest city port, the romantic Las Peñas neighborhood, the glorious Guayas River and Malecón 2000. Overnight. Domestic flight to Galapagos (not included). 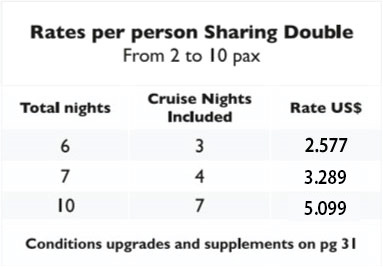 All-inclusive 3-night top quality cruise. Only a special few have the chance to travel through this paradise, sailing on a charming ship, with nautical interior decoration of wood and brass, featuring ample outer decks, sea-view cabins and suites, jacuzzi, pool, bars and more. See prehistoric iguanas, giant tortoises, exotic birds, plants, beautiful landscapes of volcanoes, lava cones and magma flows. Swim and snorkel at any time of the year in the warm clear waters among tropical fish, manta rays, sea lions, swordfish, sea turtles and other marine wildlife. Multilingual naturalist guides lead shore excursions twice a day to a place unlike any other full of wildlife that has no fear of man. Lectures explaining the geology, history, evolution, flora and fauna of the islands are provided in several languages. A fine selection of meals will delight you, from buffet breakfast to gourmet dinners, ice cream festivals, and evening barbecues. Back to Quito or Guayaquil. Overnight. Transfer out. End of services.